My foray into book folding started 8 years ago when, one day, I reorganized my bookshelves and found myself with a stack of unwanted books. I wasn’t interested in keeping the books but at the same time I was reluctant to throw them away. I decided to give them a second life and challenged myself to use these materials creatively. And so with a penchant for experimenting, I now carry on the book’s long tradition of communicating ideas — but in a non-conventional manner. 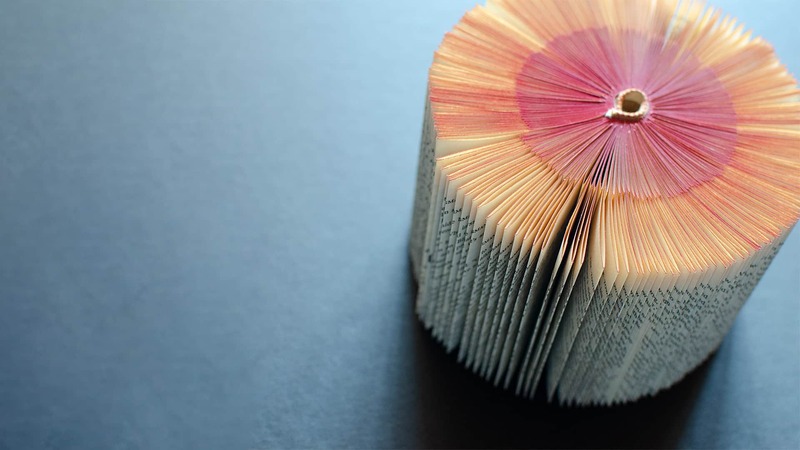 Going beyond the printed word, I focus on the book’s physical form. 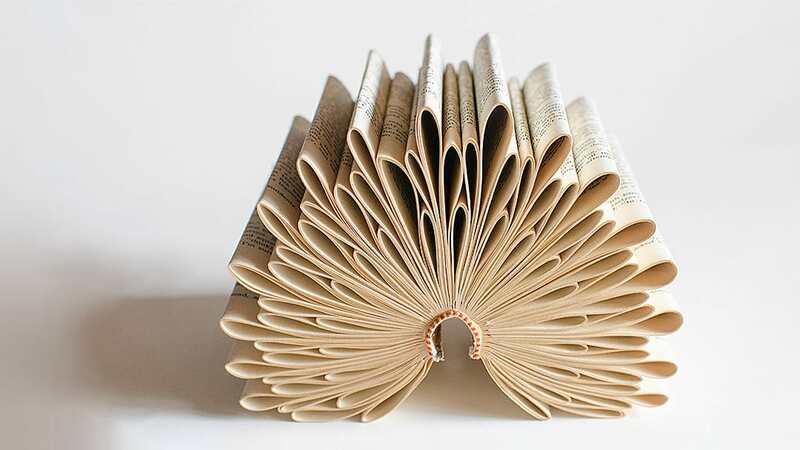 Using old and discarded books, I fold, cut, and shred the pages to create abstract sculptures which present a new way of “reading” the book. The text, peeking out of the folded pages, is reduced to an idyllic symbol as it blends with the book’s new form. 1 the desire to learn or know about anything; inquisitiveness. 2 unusual, intriguing objects of art made with painstaking accuracy or attention to detail; shortened to curio. 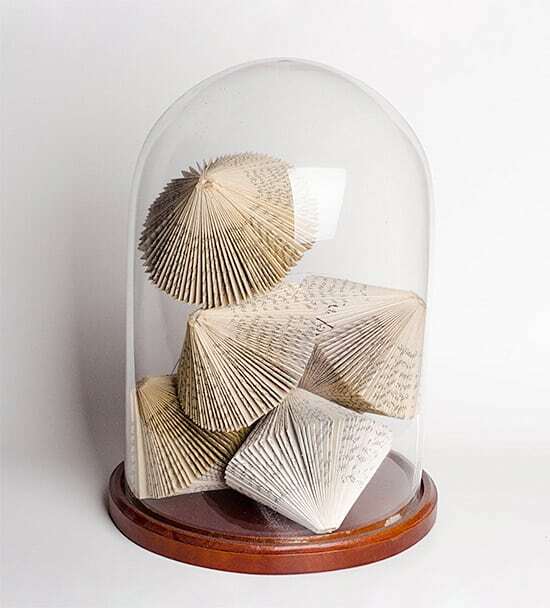 The “Objets de curiosité” Series are small paper ornaments created by folding the book pages around the central spine. 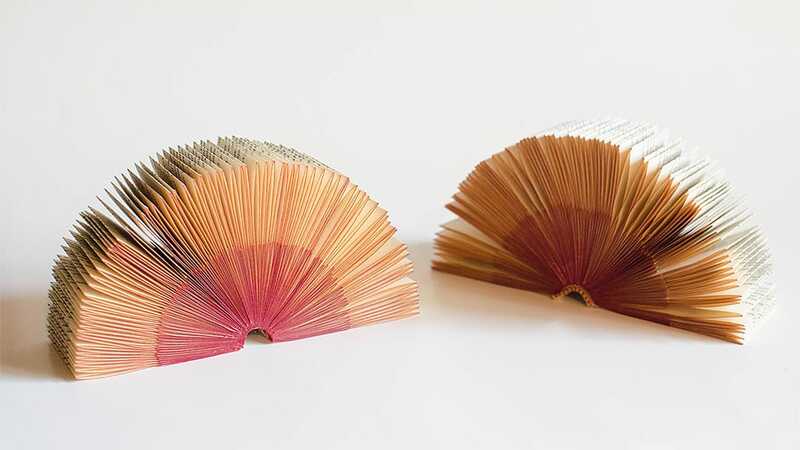 These are the first things I made when I started playing with books as a sculptural material – an excellent warm-up in exploring the possibilities of folded books.